Chop the capsicum, potato, onion and tomato in to small cubes of same size. Heat oil in kadai add jeera, ajjwain, fennel seeds then add crushed garlic, ginger and green chilly for 2 min. Then add onion fry till transparent then add chilli powder , turmeric powder, coriander powder, garam masala powder and amchur powder for 2 min then add chopped tomato fry it for 3 to 4 min. then add cubed potato and capsicum and mix well cook for 5 to 10 min. Add Kasoori Methi and mix well. Garnish with coriander leaves and grated cheese. 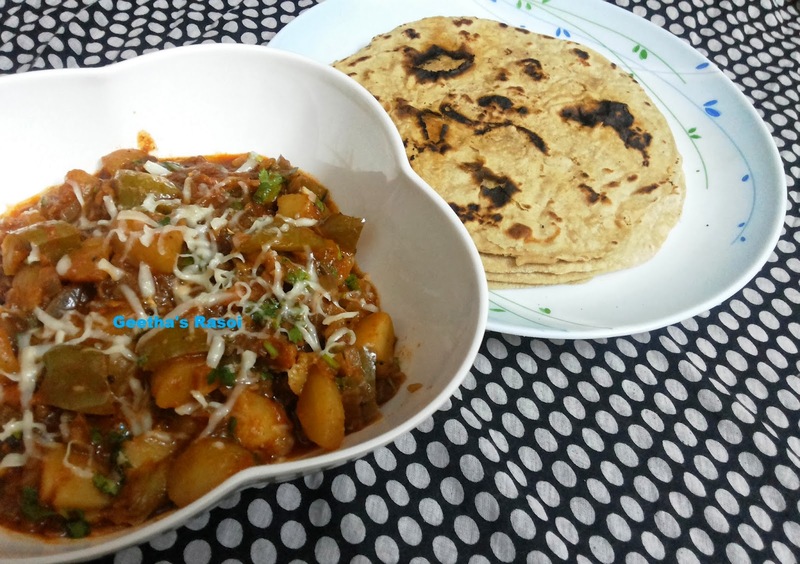 Serve hot with Rotis..